The Hindu New Year is celebrated in accordance with the Almanac or the Panchanga, that is, the Hindu Lunar Calendar. The Hindu New Year is also known as the Vikram Samvat. The current era of Vikram Samvat is believed to have begun in the year 57 BC. This day also marks the end of one agricultural harvest and the beginning of a new one. Hence, this event is concerned with the sowing and reaping of crops. On this day, the sun is found to be at the point just above the intersection of the equator and the meridians. This day also marks the beginning of the season of spring or the Vasanta Ritu. The exact day of the Hindu New Year changes every year, in accordance with the calculations in the lunar calendar. Each state in India celebrates the New Year in its own unique way, following customs and traditions that are exclusive to that particular region. We now take a look at the way in which this event is celebrated in different parts of the country. The origins of the Hindu New Year revolve around the legend of the great Hindu King, Vikramaditya, who ruled in 57 BC. It is believed that King Gardabhilla, who ruled in 12th Century CE, once seized a nun named Saraswati. She was the sister fo the Jain monk, Kalakacharya. The monk then took the help of the ruler of Saka to conquer Gardabhilla. The former eventually defeated the latter. A defeated Gardabhilla went to the forest, where he was killed by a tiger. His son, Vikramaditya, grew up to be a great King. 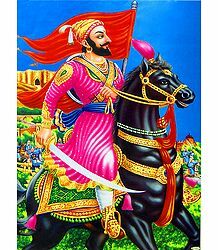 He invaded Ujjain and defeated the Sakas. This new era of the King’s victory, it is said, is celebrated as the Vikram Sampat. 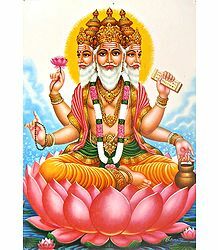 According to the Brahma Purana, the New Year marks the day when Lord Brahma recreated the entire world after the previous Pralaya or Great Deluge. Time, hence, was created anew on this day. Let us now look at how each region in India celebrates the Hindu New Year. Ugadi, Yugadi or Samvatsaradi as per the Telugu and Kannada Hindu calendar, is celebrated on the first day of the waxing phase of the moon in the month of Chaitra. This day is also called the Chitra Shukla Paksha Padyami - this falls in March or April, as per the Gregorian Calendar. In fact, this day is considered the New Year day for Hindus living between the Vindhya-Kaveri belt. The name Ugadi or Yugadi is derived from the Sanskrit roots of Yuga or "age"; and Adi, which means, "beginning" - combined together, this word means "the beginning of a new age". The term Yugadi especially refers to the start of the current epoch or Yuga we are living in now, the Kaliyuga. This Yuga is believed to have started the day Lord Krishna left his mortal coil and ended this particular avatar on Earth. Hence, the Kaliyuga is supposed to have commenced on the midnight of February 17, going into February 18, 3102 BCE. The Kannada, Marathi, Telugu and Konkani celebrate this event with great verve. The day begins with an elaborate oil bath ritual, followed by a visit to the nearby temple. This is followed by a feast of a certain dish including all six tastes, called the Ugadi Pacchadi in Telugu and Bevu-Bella in Kannada. This is symbolic of accepting and enjoying life in the year ahead, which is a mixture of all different tastes or experiences, including happiness, sadness, anger, fear, disgust and surprise. A special dish called Bobbatlu (also called Bhakshyalu, Polelu or Puran Poli) is prepared on the New Year’s Day. In Karnataka, this is referred to as Holige or Obbattu. This is basically a filling of gram flour and sugar or jaggery paste, stuffed into balls made of flour, then given a roti-like round shape. It can be eaten either hot or cold and is served up with ghee, milk or even coconut milk. Post the feast, people gather to listen to the recitation of the Panchanga of the new year, followed by a forecast of the year ahead. This is called Panchanga Shravanam. Telugu people greet each other saying, "Yugadi Shubhakankshulu" and Kannadigas wish each other saying "Yugadi Hubbada Shubhashayagalu". Gudhi Padwa or Gudi Padwa, also referred to as Samvatsar Padvo (among the Hindu Konkanis residing in Goa), is celebrated by Maharashtrians, on the day of the Chaitra Shukla Pratipada. This is also the first day of Chaitra Navratri and is known as Ghatasthapana or Kalash Sthapana. The word "Padwa" is taken from the Sanskrit word, Pratipada, the first day of the lunar month. On this day, an ornamented Gudi is hoisted and worshipped, which is what gives the festival its name. This festival is celebrated at the very end of the Rabi season. It is one of the Saade-Teen Muhurtas, or the 3 and a half auspicious days of the Hindu Lunar calendar. The other similar Muhurta days include Akshaya Tritiya, Vijayadashami (or Dusshera) and Balipratipada. It indicates Rama’s victory over the demon King, Ravana. People clean their households before the big day. Houses in villages are swept clean and are plastered with fresh cow-dung. Women create rangoli designs on the doorstep of their homes, using vibrant colors, which are associated with the abundant colors of spring. People take an elaborate bath and wear new clothes. This is also a time for family get-togethers. Baisakhi, Vasakhi or Vaisakhi is the festival celebrated in Punjab, by the Sikh community residing there. This event is in commemoration of the establishment of the Khalsa. 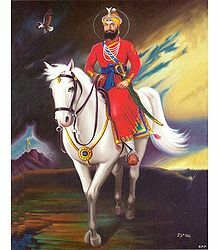 The 10th Guru, Guru Gobind Singh, had laid the foundation of the Panth Khalsa in the year 1699. The day is also celebrated by farmers as a way of giving thanks for the abundant harvest during that year, also praying for future prosperity. According to Hindu mythology, Goddess Ganga had descended to Earth on this very day. In her honor, people gather along the banks of the river Ganga (Ganges) to take their ritual bath. 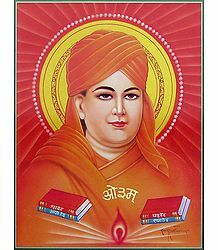 Swami Dayanand Saraswati founded the Arya Samaj on this day, in the year 1875. Hence, this is a big day for that community as well. In East Punjab, especially in Talwandi Sabo, in a Gurudwara in Anandpur Sahib and also at the Golden Temple at Amritsar, people celebrate this festival with great vigor and verve. In West Punjab too, the festival is widely celebrated by Sikhs. Hundreds of Sikhs from all over the globe undertake pilgrimages to sacred Sikh places of worship including Nankana Sahib and Hasan Abdal. Even Sikhs living abroad celebrate the festival in an elaborate manner. They hold daylong Kirtans in their local Gurudwaras, with hordes of people pouring in to attend the same. Many communities also hold Nagar Kirtan, which involves the participants going around the streets, singing Kirtans. 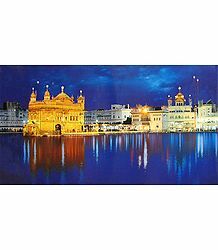 In some places, Vaisakhi Melas or fairs are also conducted in order to celebrate this festival with even greater cheer. Sikhs living in India traditionally visit Gurudwaras prior to dawn, along with flowers and other offering. 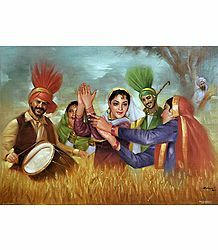 In rural Punjab, people get together to do the vigorous and very joyous Bhangra dance. Then revelers partake of an elaborate feast and make merry, while also praying for a fruitful and profitable year ahead. Putthandu, also known as Chitthirai-Tirunaal, is celebrated as the New Year day across Tamil Nadu. This day falls in mid-April and is usually celebrated around the 14th or 15th of April each year. incidentally, this is regarded as the first day of the Tamil New Year among all Tamil people living in Singapore, Malaysia, Reunion and Mauritius. The Tamil people follow the vernal equinox or Nirayanam. According to this, the first day of the new year usually falls on 14th April, in the month of Chitthirai. On this day, people greet each other by saying, "Putthandu Vazhtthukkal" or "Iniya Tamizh Putthandu Nallvaazhtthukkal", meaning, "best wishes for a sweet (prosperous) New Year". The people of Tamil Nadu celebrate this day in a big way. In the temple city of Madurai, the Chitthirai Thiruvizha is celebrated at the Meenakshi Temple there. A massive exhibition, called Chitthirai Porutkaatchi, is also held in the premises. In some parts of Southern Tamil Nadu, this day is also called Chitthirai Vishu. The entrances to homes are decorated with elaborate kolams or rangolis and the women of the house get busy preparing a great feast. Some households also include neem flowers and raw mangoes, which symbolize growth and prosperity. In some regions, they also conduct a Car Festival during this time of the year. Sri Lankan Tamils celebrate this day, by performing a unique financial transaction of sorts, which is referred to Kai-vishesham. Here, elders gift money to the younger members of the household, particularly to children, as a blessing for their prosperity in the coming year. 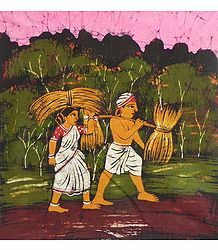 This event is followed by "Arpudu" or the ploughing of the ground in order to prepare for the brand new agricultural cycle. This time of the year is considered to be a Punya-kaalam or auspicious time to start any new activity or venture. Beginning with a ritual herbal bath called the maruthu-neer, people visit temples to seek the blessings of the Almighty in the New Year. Youths play a game of "por-thenkai" or a "war with coconuts" and cart races are also held in some regions. People then get together with their family members for a sumptuous feast. Incidentally, the Sinhalese New Year also falls on the same day, and hence, the entire country celebrates this day in a great way. Vishu is an important festival for residents of Kerala, as also in Mangalore and Udipi. In fact, this day is second only to Onam for Malayalis from around the world. This day also marks the New Year day according to the Kolla Varsham or the Malayalam calendar. The most important ritual on this day is the "Vishukkani", which literally implies the "first thing seen" on the morning of Vishu. For this ritual, people arrange articles such as raw rice, fresh vegetables and fruits, coconut with betel leaves, arecanut, the sacred Konna Poo (the bright yellow Cassia fistula variety of flowers), sacred texts, gold, silver, coins and money; in front of a metal mirror. A nilavilakku or lighted lamp is placed beside this arrangement. This Vishukkani is prepared the previous night, just before going to bed. The custom is to get up from bed before dawn and proceed towards the arrangement with closed eyes, only opening them to look at it. This is done so that one sees only good and auspicious things first thing in the morning, on the day of the New Year. Malayalis take a ritual oil bath, after which they visit temples in the vicinity. Many of these temples also maintain a Vishukkazhcha for the devotees to take a look. Later, verses from the Ramayana are read out before a gathering of family members. Then the day is celebrated with much fervor with people lighting the Vishuppadakkam or firecrackers, wearing and gifting new clothes (Puthukodi) younger family members and elders giving Vishukkaineettam (giving money) to youngsters, including children; even including the domestic helpers of the household. Family members then assemble to partake of a grand Saddhya or feast, consisting of equal quantities of salty, sweet, sour and bitter food items. The Vishu Kanji and the Thoran are the two most important items served during the Saddhya. The Kanji, which is nourishing and very tasty, is prepared with rice, coconut milk and some select spices. In Orissa or Odisha, the New Year day is referred to as the Maha Vishuva Sankranti or the Pana Sankranti. The Oriya month of Mesha starts from this day on and that is why it is also called Mesha Sankranti. People fill a small pot with Pana or a sweet drink. There is a tiny hole at the bottom of the pot, which allows the fluid to fall from it. People first offer a mixture made of horse gram, banana and curd to the sacred Tulsi plant in their homes, before consuming the same. They then make special offerings to the Shivalinga, Shalagrama, Hanuman, the various forms of Devi Parvati and other deities as well. Many also undertake Jhaamu Yatras to major Devi temples in Odisha. The tribals in Odisha perform a ritual called Danda Nata, Danda Nacha or Danda Jatra, which goes on for a period of 13 days. This is one of their most ancient traditional forms of welcoming in the New Year. This ritual, dedicated to Goddess Kali, is a group event, where devotees invoke Her grace and blessings. People believe that performing this ritual destroys negativity and sin and brings peace and prosperity, along with a good harvest all year round. The end of the last day is referred to as Pana Sankranti or Meru Sankranti. People undertaking this ritual completely avoid non-vegetarian food during these 13 days, even avoiding the intake of onion and garlic. Cheti Chand is an important festival for Sindhis and is also celebrated as the New Year’s Day by Sindhis hailing from both India and Pakistan. This festival is celebrated by Sindhis from around the world as well. This day for Hindus falls on the second day of the month of Chaitra. Sindhis refer to this month as Chet, and hence the name, Chet-i-Chand. The Sindhi community celebrates this day to commemorate the birth of their Ishtadeva, Uderolal, more popularly known as Jhulelal, who is regarded as the Patron Saint of the Sindhis. On this day, people worship water, the giver of life. Devotees of Jhulelal offer their obeisance to Chaliho Sahab. Traditionally, they undertook rituals for forty whole days and nights and stood vigil on the banks of the river Sindhu. The men did not shave, use soap or detergent and did not wear new clothes either. They would just wash their clothes, leave them to dry and then wear them again. 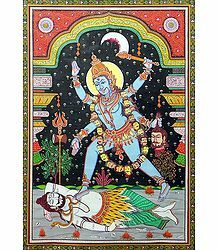 in the evenings, they would worship Lord Varuna, the God of water and rain, singing songs in his praise, praying for salvation. Even today, those who follow the traditional ritual of Chaliho, celebrate this day as a day of thanksgiving to Jhulelal. Bestu Varas is the Gujarati New Year’s Day - this day falls on the day just after Diwali. Some Gujaratis also follow Vikram Sampat. On the day of Bestu Varas, people greet each other, saying "Nutan Varsha Abhinandan" or "Saal Mubarak". This day starts by bursting plenty of firecrackers, starting as early as 4am. Young boys gather and sell raw salt, calling it "Sabras", meaning, "all tastes". 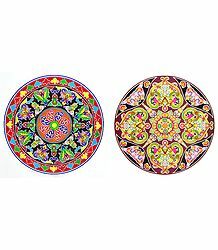 People decorate their homes with aaso palav and marigold torans or door hangings and draw colorful rangolis at their doorstep. People then take an elaborate ritual bath, wear new clothes and visit temples. Then is the time for cooking up a tasty feast and partaking of the same. People also visit their friends, relatives and neighbors to wish them a happy and prosperous New Year. Chaitti and Basoa are celebrated as part of the festivities to usher in the New Year in the Indian state of Himachal Pradesh. Chaitti is the first day of the Chaitra month and so, it considered to be very important and auspicious for people residing in this part of India. Basoa, also referred to as Bishu, is celebrated on the first day of the Baisakh month. On this day, the farmers and aboriginals living in this region participate in this festival with great joy and enthusiasm. Three days prior to this festival, people start making small cakes called Kodra, and then wrap them up in leaves, leaving them to ferment. On the day of Bishu, they invite their relatives to break these cakes and eat them with honey and sweet water mixed with jaggery. Pohela Boisakh, also called Poila Boisakh, is the Bengali New Year’s Day, which is celebrated all over West Bengal, extending to the Bengali people in Assam and Tripura; even crossing national borders and influencing the residents of Bangladesh. This festival falls on the day after Vishuva Sankranti and is also called as the Choitro Sankranti in Bengali - hence, it usually falls on the 14th or the 15th of April. As seen above, this festival brings together all Bengalis, irrespective of their regional location. In Bangladesh, this day has been fixed and falls on the 14th of April each year. This day has also been declared as a national holiday in this country. Cheiraoba is the New Year’s Day festival, celebrated by the people of Manipur. This elaborate and joyous festival is celebrated with much verve all over the state. The name "Cheiraoba" is actually a combination of two words, namely, "Chahi" or "Year" and "Laoba", which means "Declaration". So this festival declares or announces the New Year, also bidding goodbye to the past year. This day falls on the same day as Gudi Padwa, and so this state too celebrates the festival along with the rest of the Indian states. The people here celebrate this second Navratra (the first one is during the 9 days of the festival of Navratri, concluding with the Dusshera) in commemoration of the victory of their great King, Lalitaditya. Navreh falls on the same day as Gudhi Padwa or Ugadi. Juir Sheetal, which is also referred to as Baisakhi or Pahil Baisakh, is observed as the first day of the Maithili New Year. This day normally falls on the 14th of April as per the Maithils residing in the Mithila region of India and Nepal. They also sometimes refer to this day as Nirayana Mesh Sankranti or Tirhuta New Year. This day is also referred to as Hanumat Dhwajadanam; the day when Hanuman’s flag, that is, Mithila’s flag, is to be flown. Incidentally, people additionally consider this as the birthday of Raja Shailesh or Salhesh, the King of the Himalayan region of Mithila, who was victorious in several battles and also conquered several regions in that area. In fact, every village of Mithila even now, has a "Rajaji’s Gahwar", which is worshipped by all the people, especially by the Paswans. This day, hence, symbolizes community harmony as well. This day also holds great significance in the present day Indian cultural milieu. The Maithili New Year has been declared as the Mithila Diwas by the Government of Bihar. Here is wishing all our readers a very Happy and Prosperous New Year. May peace, prosperity, joy and health abound and may you achieve all that you can ever desire for. Happy New Year!